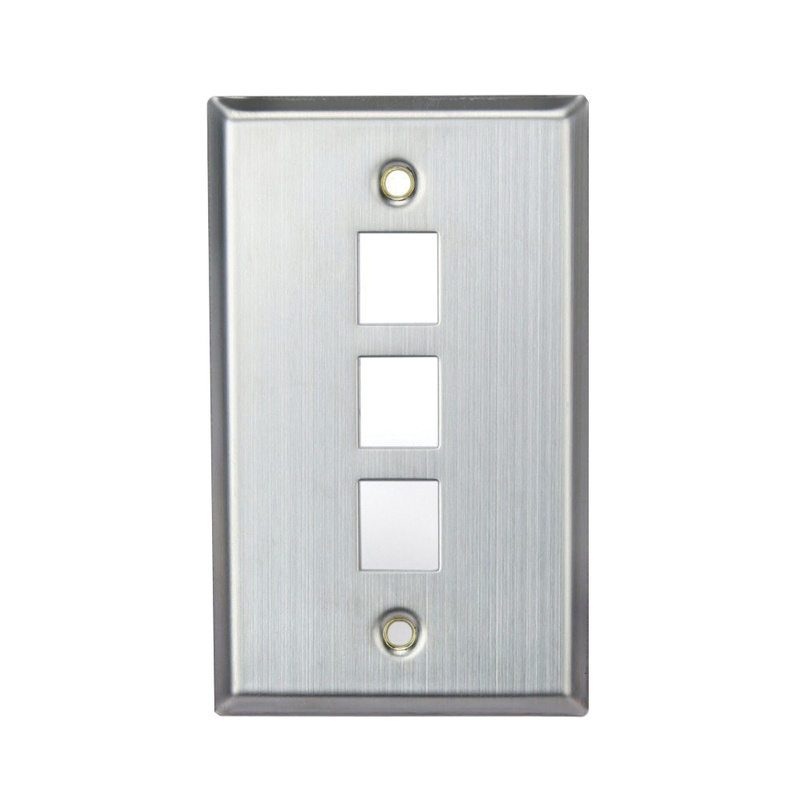 Leviton QuickPort® 1-Gang 3-Port Wallplate features stainless-steel construction. This wallplate has a dimension of 2.78-Inch x 0.45-Inch x 4.5-Inch. It supports box mounting for making installation easier. It is compatible with all individual quickport connectors and adapters. Wallplate is UL/cULus listed and CSA/ANSI/TIA-568-C certified.